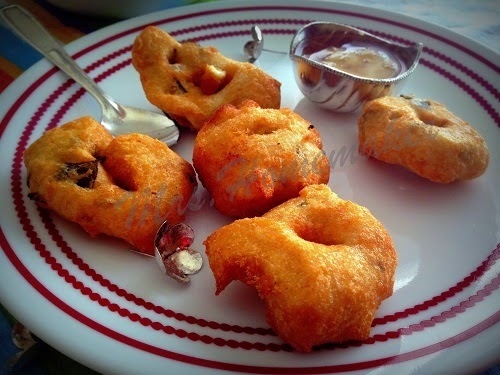 Gari or Vada is a famous South Indian fritter made with black gram , which may sometimes include peppers , ginger, onions and many more which we call it as Masala Gari . 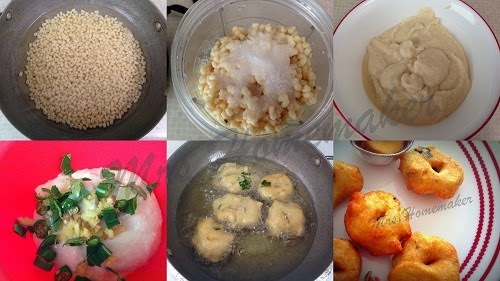 These crispy fritters are a must haves on any auspicious day and can be taken as a heavy breakfast on any regular day , along with sambar or chutney . 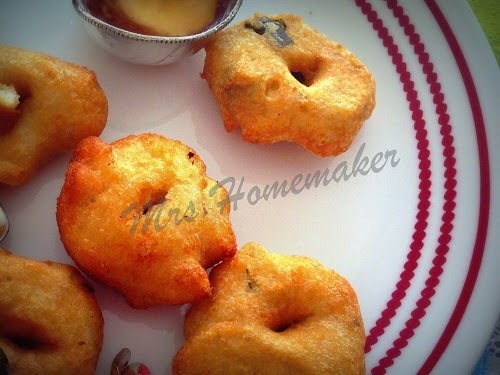 These savory donuts are very easy to prepare , if you can make the perfect consistency batter , otherwise the shapes of your vada may look weird and sometimes without a hole . Serve these crispy treats immediately, otherwise they end up being soggy rather than being tender and crispy . Step 1: Soak black gram atleast for 2 to 3 hours , before making it into a thick paste , the consistency must be very thick just like a lump. Step 2: Now add green chilies, ginger , cumin seeds and mix in the batter gently . Heat oil for deep frying , when hot and not smoking , take a ziploc apply some water , then take a big lump of batter spread it on the ziploc , make a hole in the centre , then drop it into the oil . Step 3: Fry until golden brown , then bloat the extra oil and serve hot with your favorite chutney or sambar . Adding salt and little of water while making the batter gives the perfect consistency , without a watery batter . If you do end up with thin consistency batter , add in some rice flour or urad flour to get the exact consistency . Prepare the vadas immediately after making the batter , if you rest the batter long your vadas just soak up oil . The batter should not be very smooth , be sure to make it a little coarse (not too much coarse though ) to get the best texture inside and outside .